Synopsis (via Goodreads): When Simon gets mad, he gets REALLY mad. So mad that big, bad, angry beasts appear. At first Simon loves having the beasts around to help scare off anyone who upsets him, but over time he realizes that no one wants to be around him or the beasts. This makes Simon sad, so he decides to try to still his mind and practice being calm. And the beasts disappear! We loved this one! Simon and the Big, Bad, Angry Beasts personified anger and offered a more understandable perspective for children. My son thought it was interesting that the boy's anger could change shape depending on the situation, and we had fun discussing what his animal would be. We both liked the illustrations and thought they really added to the overall experience (especially at the end when the dragon starts dissolving into butterflies). We will definitely be adding this one to our shelves! Normally, I don't read the teaching guide in the back of a book, but this one was actually helpful. My son was able to express himself in new and unique ways that I think will benefit us both in the future. He even surprised me by doing the breathing exercise! 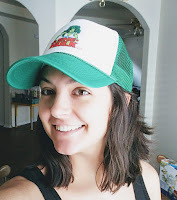 Synopsis (via Goodreads): Dot invites Duck to a tea party, but from the moment Duck enters the house, the tea party descends into chaos; from licking sandwich fillings to spitting tea, Duck gets ruder…and ruder…and ruder. Just how will Dot react to such outrageous behavior? This book didn't hold our attention. I think How Rude! had the potential to be more than it was, and would have benefited from more dialogue. We see Dot becoming increasingly frustrated with Duck, but Dot never actually communicates her feelings. We always tell our children to use their words to express their thoughts and emotions, which allows us to have conversations. Eventually Dot snaps and does something rude, and Duck realizes he was being a terrible friend. I think it sends a bad message to children, because the book is essentially telling them to mimic the bad behavior to solve their problems. Dot should have tried talking to Duck instead of lashing out. I believe this one missed the mark. Posythepenguinisscaredofmanythings-snowstorms,loudnoises,thedark-butwhenheradventurousfriendPercyismissing,Posyplucksupthecouragetoovercomeherfearsandgoesonanexcursiontofindhim.Afteranintrepidjourney,PosyfindsaninjuredPercyinadarkcave.Sherescueshimandbringshimhome,realisingintheendjusthowbraveshecanreallybe.Aheartwarmingstoryaboutfriendship,beingbrave,andovercomingfearswhenitreallymatters,thispicturebookissuretodelightandentertain.Posythepenguinisscaredofmanythings-snowstorms,loudnoises,thedark-butwhenheradventurousfriendPercyismissing,Posyplucksupthecouragetoovercomeherfearsandgoesonanexcursiontofindhim.Afteranintrepidjourney,PosyfindsaninjuredPercyinadarkcave.Sherescueshimandbringshimhome,realisingintheendjusthowbraveshecanreallybe.Aheartwarmingstoryaboutfriendship,beingbrave,andovercomingfearswhenitreallymatters,thispicturebookissuretodelightandentertain.Synopsis (via Goodreads): Posy the penguin is scared of many things - snowstorms, loud noises, the dark - but when her adventurous friend Percy is missing, Posy plucks up the courage to overcome her fears and goes on an excursion to find him. After an intrepid journey, Posy finds an injured Percy in a dark cave. She rescues him and brings him home, realizing in the end just how brave she can really be. A heartwarming story about friendship, being brave, and overcoming fears when it really matters, this picture book is sure to delight and entertain. 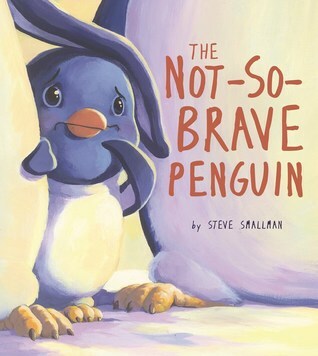 The Not-So-Brave Penguin was a short read about overcoming your fears. Posy is scared of a lot of things, but her biggest fear is darkness. At night she imagines the worst possible scenarios, even though she is huddled against friends and family. Eventually the need to save her friend becomes more important than her fear, and she's able to overcome her personal obstacles. While the story itself was okay, I felt like it was missing something. There was no oomph! Synopsis (via Goodreads): Blues and Yellows just don't mix, and that's how it's always been. No one remembers why. But then comes the day Midnight Blue takes a tumble along the road. His friends Navy and Powder Blue don't even stop to help! It's only when a Yellow comes along that everything changes--forever. This creative story is sure to prompt rich conversations, encouraging new ways of seeing our neighbors and ourselves. A note for parents and educators is included. 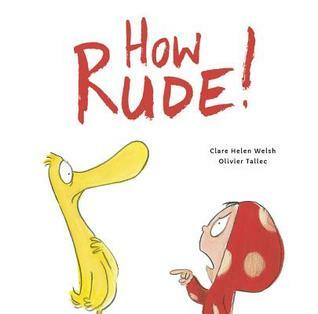 I thought this book showed the importance of kindness and the consequences of fearing others because they're different. The Blues think poorly of the Yellows, the Yellows distrust the Blues, and that's just the way things are. The two have never mixed, and we see how an older generation passes on that prejudice to their children. It took two people meeting on accident, and being their best selves, to show the two groups that neither was "bad". I believe this is a lesson everyone should learn, and not just children. People may be different, but that doesn't make them less or bad. It's going to take everyone being their best selves to make a difference in the world. We have to ignore the hate and distrust from the past and focus on what we know to be right. I always enjoy your mini reviews. I like the covers for these. I like the look of that first one, and def the pinguin one! It looks like you are exploring feelings with your little one. I enjoyed reading how the first book about anger led to some great discussion. Who is My Neighbor? is such a great conversation starter on accepting each others differences. What a great little picture book! We've always encouraged our children to express and explain their feelings! I love that their are books out there that address feelings and how to deal with them. Anger is a tricky one, because children don't always know why they're upset, and I think imaging a monster that resembles your feelings is very creative. Who Is My Neighbor? was also really enjoyable! Making people fear one another isn't the answer, because then they're afraid of anything that's different. The Blues wouldn't help another Blue because they thought something bad might happen to them, too. If they'd never been taught to fear what's different, they may have been more inclined to assist. Aw, bummer the Penguin book wasn't your favorite! I love penguins. LOL Who's My Neighbor? sounds really good though. We recently watched Happy Feet! I didn't realize Hugh Jackman was one of the voices -- love him. <3 I really wanted to love the penguin book, but it fell flat for me. I like that Posy overcame her fears, but I didn't like how they were addressed. Looks like some cute books! I don't read a lot of this age level books, but will pass it on to those I know who do! Sounds like an overall great batch of books. I'm glad that the teaching guide at the back of the first one was actually helpful for you too. I don't mind reading the teaching guides when we enjoyed the book, but if the book wasn't enjoyable I don't see the point. I'm sure some of them could still be relevant and applicable, but I want to the story to be good as well! 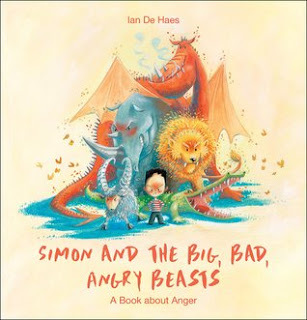 Simon and the big, bad, angry beasts is absolutely adorable! I love the premise, how anger takes shape as this looming presence making it something kids can visualise. I can imagine it makes it easier to discuss and look at ways to express anger without lashing out. I'd love to start reading more picture books this year, I love illustrations and supporting kidlit authors. Will definitely be adding that one to my list. Hope you're all settling in well to the new house! I hope you enjoy it as much as I did! It really has helped my son with expressing his anger, and I loved the teaching information included in the back. I might have to use it when I go back to work! 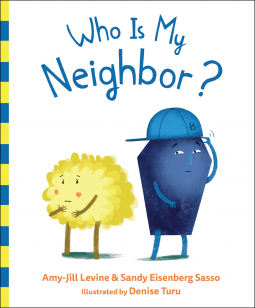 Who Is My Neighbor is definitely a book I'd love my kiddos to read! I'll be keeping an eye out for it at our library, wonderful review!